This page aims to tell you an easy way to test whether your hard drive is dying by checking S.M.A.R.T. information. Hard drive failure must be the worst thing that can happen to your PC and it usually occurs without giving any warning signs. Thus it's necessary to know hard drive's healthy condition. If you have no idea about the condition of your hard disk, you may not be able to recue files before it's too late. Since not all hard drive failure happens random, and you have time to backup data before it is completely damaged. 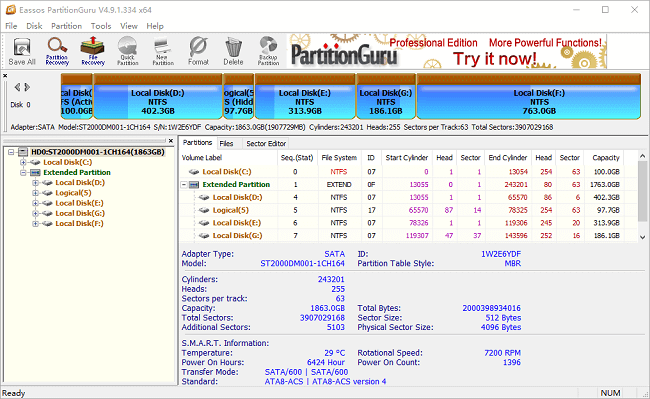 All modern hard drives or SSDs have a monitoring technology called S.M.A.R.T. (Self-Monitoring, Analysis and Reporting Technology). You can view your hard drive's S.M.A.R.T. data and see whether it has problems. 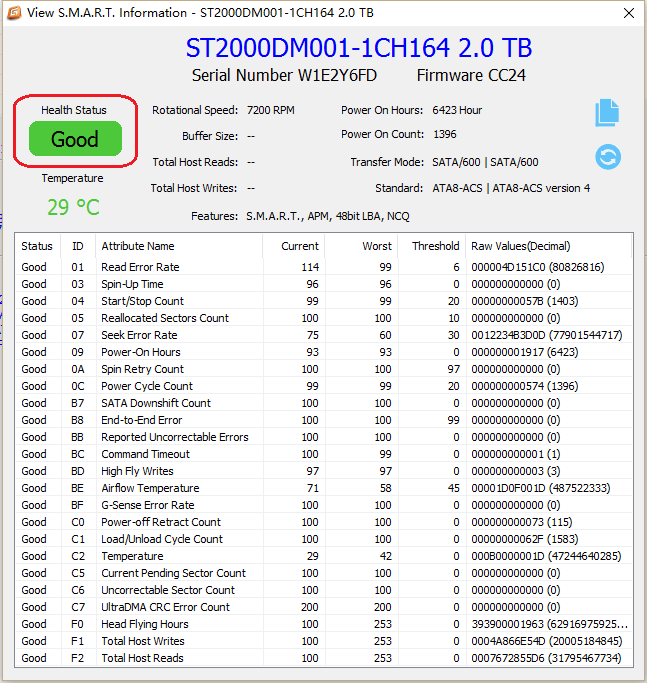 How to test hard drive and view S.M.A.R.T. information? PartitionGuru is able to do a quick S.M.A.R.T. check and the testing process can be done in second via three steps. Step 1 Run PartitionGuru and you can see the following interface. 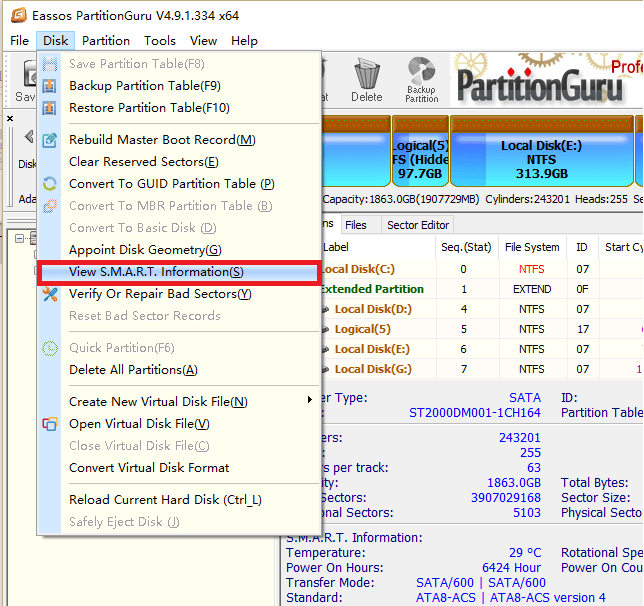 Step 2 Click "Disk" from menu and select "View S.M.A.R.T. Information" option. Step 3 Now you can view detailed S.M.A.R.T. information such as attributes, status, current temperature, hard drive specifications in the popped up window. Health Status: There are 3 types of status showing hard drive condition: Good, Warning and Bad. Good means everything is working properly and hard drive is heathy. If the status is Warning or Bad, you should be cautious when using the hard disk. It's recommended to backup all data and then get the hard drive repaired.